CrAc is based on a powerful synergy between academia and industry. The role of the academic partners of the Johannes Kepler University Linz, University of Applied Sciences Upper Austria, Campus Hagenberg and the University of Art and Design Linz is to provide the project with in-depth expert knowledge in the scientific research fields relevant for CrAc. 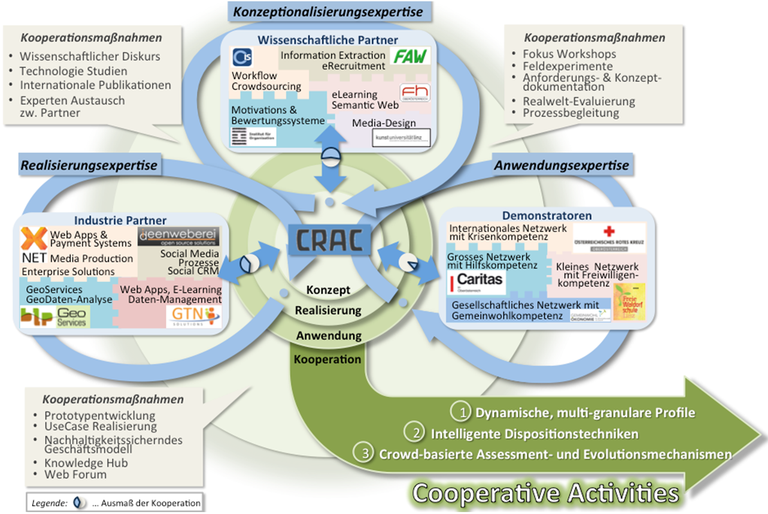 Partners from industry and non-profit organizations possessing extensive experience and providing demonstration facilities for the CrAc prototype complement the project consortium.